Why should you join the Leesburg Area Chamber of Commerce? 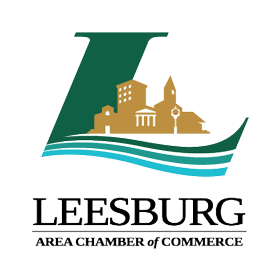 The Leesburg Area Chamber of Commerce is a strong advocate for business. You will receive recognition in the Leesburg Area Chamber of Commerce’s “At a Glance” weekly e-newsletter. Members are listed on our website and have the opportunity to advertise to reach more than 25,000 visitors a year. A listing in our annual Business to Business Membership Directory. A listing in our annual Relocation book. A discount for advertising in The Daily Commercial. Complimentary Spotlight Table (a $75 value) in the first year. Sponsor a major event such as the Leesburg Area Chamber of Commerce Golf Classic, the Leesburg Area Chamber of Commerce Business Expo, Annual Golf Splash, or the Annual Chamber Awards and Installation Gala. Sponsor a Business After Hours. Advertisement or flyer insert in the Leesburg Area Chamber of Commerce’s “At a Glance” weekly e-newsletter. Advertise in the Business to Business Membership Directory. Create a website advertisement on the Chamber’s website. Donate a door prize and be announced at a raffle. Advertise in the Relocation book.